Due to its powerful zoom, which allows the user to adjust the beam angle from 2° to 23°, and its high performance frost filter, ION 281 3-in-1, with its compact and light design, excels in spot, beam and wash functions. Improved version of its predecessor OSRAM SIRIUS® HRI 280W LAMP, providing better performance at a lower cost. Achieve high luminance levels never seen before, standing out for reaching a consistent light field with a remarkable lifetime. Designed to be a key part of the fixture’s operation, the efficient auto-focus system of the Ion 281 3-in-1 stands out for its precision and speed. With such a versatile fixture, the auto-focus is essential to deliver crisp projections in all its three functions, without wasting time. The Remote Device Management or RDM function allows the remote management and configuration of the fixtures. 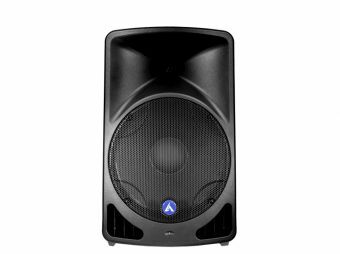 This protocol sits on top of the normal DMX512 and, together with a compatible controller, enabling the user to remotely monitor and even address the Ion 281 3-in-1. Ion 281 3-in-1 is a versatile moving head that covers spot, wash and beam functions. Powered by a Sirius® HRI 281W lamp, it stands out in all its modes. With a compact design, the unit has a 13 dichroic filters + open and bidirectional rainbow effect color wheel. Regarding gobos, this moving head has a 9 rotating, indexable and interchangeable gobo wheel and a 14 static gobo wheel, each of them with gobo shaking. 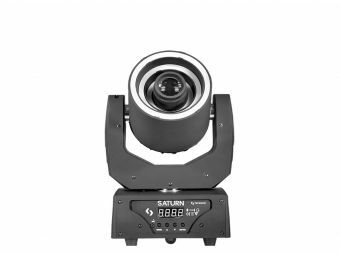 At the same time, the fixture comes with frost filter, a 6-facet rotating prism and a zoom function that allows the user to choose between beam, spot & wash mode with only one moving head. Ion 281 3-in-1 is not only versatile but also, as every equipment in the ION Series, it achieves extremely fast movements thanks to its 3-phase motor. Gobo diameter: outside diameter 15.9 mm., inside diameter 12 mm. Dimensions: 369x402x623 mm. / 14.5x15.8x24.5 in. Weight: 17 kg. / 37.5 lbs.